The system prints a broad array of informative sales, operations, and financial reports. 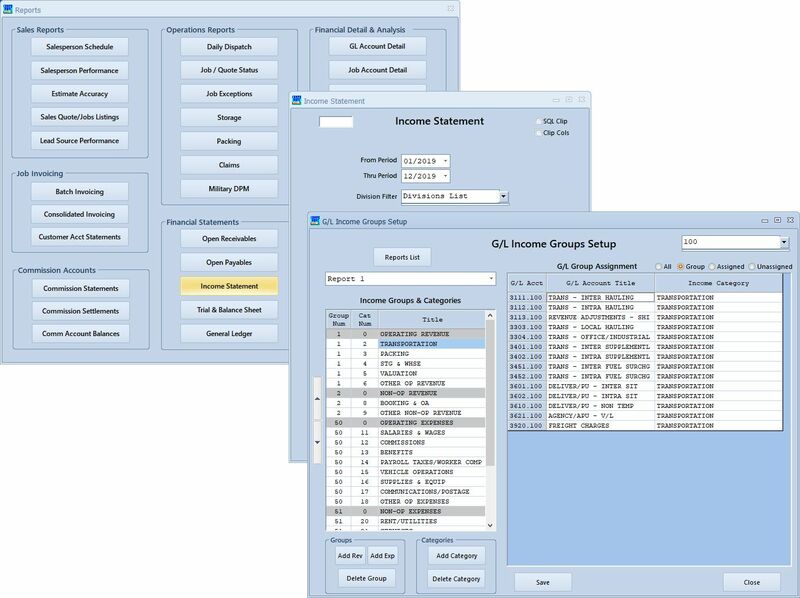 And, because all data is in a SQL database, Excel exporting, custom reporting, or even web publishing, is possible with 3rd-party tools. The job costing report draws data from job charges and costs to give a detailed and summary breakdown of profitability for each kind of move. Salesperson performance is tracked and reported, including revenue generation, closing ratios, and commissions paid. Salesperson estimate accuracy is tracked, comparing estimated -vs- actual weight, packing, transportaion, and total charges.